The Pennsylvania Medical Marijuana Act, enacted on April 17, 2016, establishes a comprehensive licensing and regulatory framework for the growing, processing, testing, distributing, transporting, securing, and dispensing medical marijuana products throughout Pennsylvania. 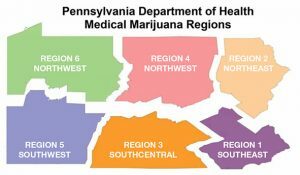 Focusing on grower and processor permits, the Pennsylvania Department of Health will issue only two permits per region and there are six regions throughout Pennsylvania. As a result, the location of a proposed facility is important to the business’ productivity. However, with the advent of the new legislation compounded by the stigma of an already controversial issue, municipalities are faced with a myriad of land use and security issues associated with these facilities. Many are scrambling to enact ordinances to manage the transition while attempting to balance what the law permits with the concerns of their residents. I recently represented an entity seeking a medical marijuana grower/processor permit. We obtained a conditional use permit to operate a grower/processor facility within a municipality in Delaware County. There are various categories of information that need to be addressed in the use application before a municipal authority for a medical marijuana grower/processing facility to be approved. It is important to obtain plans of the building including interior layout, front and side elevations, and an aerial sketch plan. The building’s interior lay out should depict the areas of operation within the building; however, err on the side of less is more as too much detail can compromise the facility’s security measures. • It cannot be located within 1,000 feet of a school, or daycare facility. • The growing facility must be separated from the processing facility within the building. • The building must be fully enclosed and inaccessible to minors. • There must be no visible exterior evidence of the nature of the facility from any public-right-of-way. • Signage must be small and may only indicate the name of the business with no pictorial references to the nature of the facility. It must further comply with all municipal sign ordinances. • There may not be any harmful byproducts emanating from the facility, including, but not limited to dust, glare, heat, noise, smoke or other hazardous emissions. The Medical Marijuana Act has very strict security requirements, which a facility must comply with in order to obtain and maintain a permit to operate. Security is a principal part of any municipal use application and typically draws the most attention from the residents. It is worth the effort to devote a good portion of the presentation to the Medical Marijuana Act’s security requirements. • The facility must have onsite security and 24-hour video surveillance utilizing state-of-the-art, commercial-grade equipment to prevent unauthorized entry. • The exterior perimeter must be fenced in. • The facility must have a full alarm system, including both silent and audible alarms and motion detectors. • Access to the security footage must be granted to the municipality upon verbal request. • Commercial-grade, nonresidential doors and door locks on each external door of the facility are required. • During all nonworking hours, the entrances to and exits from the site and facility must be securely locked. • Access to a room containing security and surveillance monitoring equipment must be limited to only those personnel essential to maintaining security operations, including Federal, State and local law enforcement; security and surveillance system service employees; the Department of Health or its authorized agents; and other persons with written approval of the Department of Health. • A current list of authorized employees and service employees or contractors must be maintained and provided to the Department of Health or its authorized agents upon request. The transportation of medical marijuana from a facility in Pennsylvania is also a subject that must be addressed in the use application before a municipal authority for a medical marijuana grower/processing facility. It is important to address how the facility operators will comply with the following transportation mandates under the Medical Marijuana Act. • A printed or electronic manifest must accompany each transport vehicle. • The transport vehicles must be armored, manned by two highly trained security officers, and GPS-monitored via an electronic tracking system approved by the Department of Health. • The transport vehicles must be equipped with real-time video surveillance of the cargo area and passenger compartment, along with a panic button. • The transport vehicle manifest must contain the name, address and permit number of the grower and processor and a contact name and telephone number for an individual with direct knowledge of the transport. • Copies of transcripts must be provided to the Department of Health or its authorized agent, law enforcement or other Federal, State or local government officials in accordance with the Medical Marijuana Act. • All medical marijuana product packages leaving the facility must be final medical products and labeled in accordance with all State and Federal regulations. • The final products cannot be confused with the common form of cannabis which is smoke-able; rather the products must consist of pills, oils, creams or nebulizer. • All excipients used in processing and manufacturing must be pharmaceutical grade, and, therefore, will have to comply with FDA/EPA guidelines. If you are a medical marijuana grower/processor seeking a permit to do business in Pennsylvania, there are many considerations found in Chapter 1151 of the Medical Marijuana Act. This is a technical and evolving area of the law which requires the counsel of a medical marijuana land use and zoning attorney in Pennsylvania.